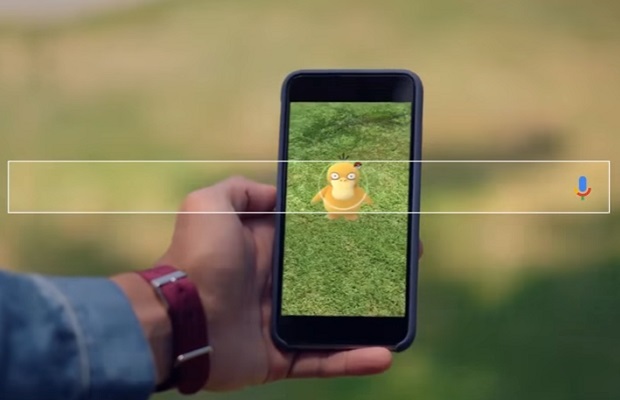 Google has revealed its UK search engine’s top trending terms of the year, with Pokémon Go and iPhone 7 outranking Donald Trump and Prince. The site released a variety of its top search trends — ranking everything from top searches overall to the most searched people and global news stories. The most popular search on Google in 2016 was Pokémon Go, followed by iPhone 7 and Donald Trump. The No. 1 search term hit its peak in July at the height of the Pokémon Go phenomena. Prince’s sudden death on April 21 pushed the artist into the top five most searched terms for the year. Google has released nine global search trends lists — ranking everything from the top searches overall to the most searched people and global news stories. The top 10 most popular search terms across the globe involved a mix of tech trends, famous people, movies and 2016 news events. Donald Trump and Hillary Clinton were the top two most searched people on Google this year, with Bernie Sanders ranking a few spots behind at No. 6. 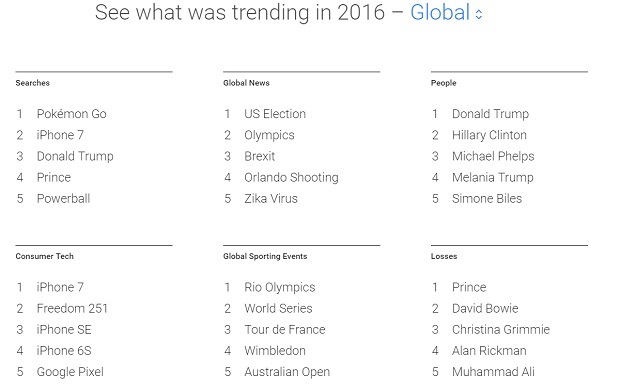 This year’s US election was the world’s most popular news story according to Google’s search trends. The Olympics and Brexit also made it into the top three. Other top search trends ranked by Google include consumer trends, global sporting events, losses, movies, musicians and TV shows. Google has formatted the lists so that they can be easily shared and embedded, as well as making it possible to drill down into individual search terms to see how they trended throughout the year. Google also shared the following “Year in Search” video, highlighting the top news stories, trends and people we lost in 2016.